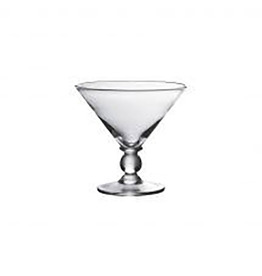 Bellini is a rich line of Italian glassware designed to handsomely suit any taste. With unparalleled texture and clarity, bubbles are suspended in glass as if fizzing forever. The classic White Wine Glass serves up simply refined refreshment. Bellini Bubble White Wine Glass - 16 oz. Bellini Bubble Oversize Wine Glass - 28 oz. Perfect for wine, water, soft drinks. Durable and affordable enough for everyday use. Many pieces available including DOF, tumbler, goblet, margarita, pilsner, mug and a great pitcher. Ask about other colors as well. Dishwasher safe. Tuscany Classics White Wine - Buy 4 Get 6! Deal! Propose a toast at any occasion with the sparkling crystal Tuscany Classics wine glasses from Lenox. Appropriate for both red and white wine, this set of six elegant stemless wine glasses makes a wonderful housewarming gift. Tuscany Classics Stemless Wine Glass - Buy 4 Get 6! Call all kraft beer drinkers! Show off your brew in this one of a kind piece. Dress up your daily glass of wine with the Drop Stemless Wine Glass - Blue. Intricately mouthblown in Veneto, this beautiful collection brings a playful, chic touch to your favorite barware assortment. Delightful double old fashioned durable and affordable enough for everyday use. Many pieces available including DOF, tumbler, goblet, margarita, pilsner, mug and a great pitcher. Ask about other colors as well. Dishwasher safe. Stemware that looks fabulous in person! Great for any couple that shares wne and wants to stay happy!